Thanks to the support of Netwealth, 15,000 Australian students are able to access an engaging, relevant and independent financial education at no cost. 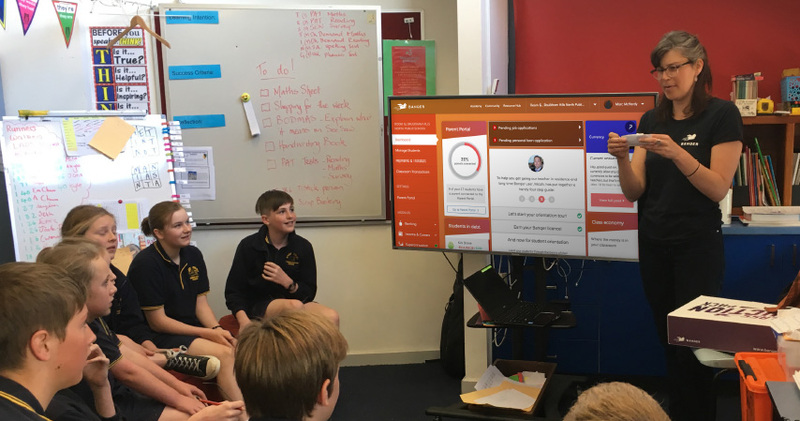 Banqer transforms the classroom into a virtual economy where students have their own online mock bank accounts, transacting with one another and the teacher. They experience budgeting, taxes, super, mortgages and much more in a hands on, safe and controlled environment. Netwealth and Banqer share a mission of enabling, educating and inspiring people to see wealth differently, to discover a brighter future. Together we’re are preparing young Australians for their financial futures. We’ll send them some helpful information on what Banqer can do for their classroom and students. We don't want to get sent to the principal's office! If you’re unsure whether your teacher will want to receive this please check with them first. We’ll only use this email to send your teacher some initial information about Banqer, and will keep their email address safe. Are you a Teacher Looking to Start Banqer? It’s easy, free and it only takes a minute to get set up. We have helpful tutorials, videos and lesson plans to get you started as well. It's never been easier to confidently introduce financial literacy into your classroom. Come and join the thousands of educators who already use Banqer in their class.